Saturday I was doing my favorite activity, hanging with my wife Heather. We were running errands having to do with Mother’s Day. One place we went @Home. 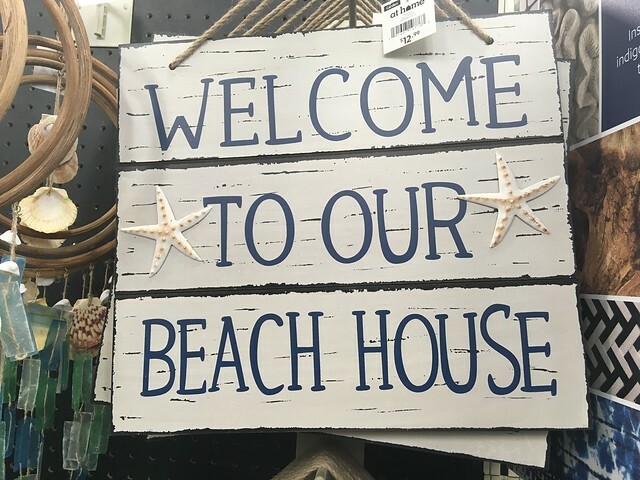 A giant box store crammed full of stuff including a bunch of signs for the home. I loved the one above. 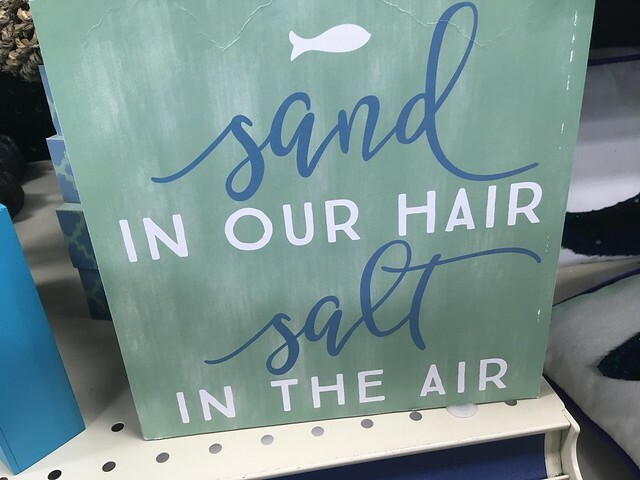 I got and we will be taking to the condo we are renting on the Gulf Coast later this summer. 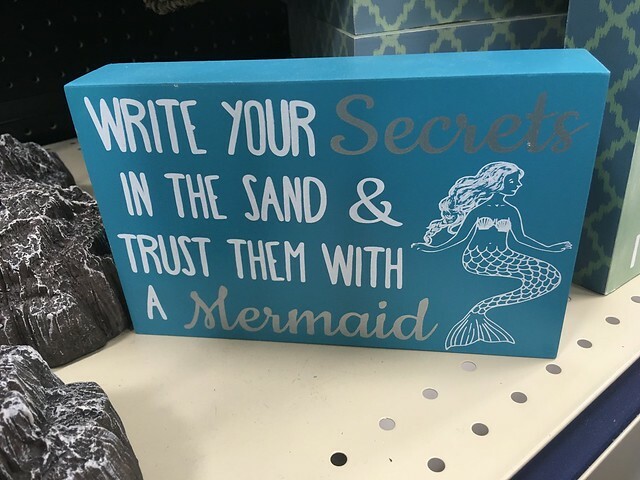 Hmmm, do mermaids read what you write in the sand? That’s an intriguing idea. What about sirens, do they read also, or do they just sit on the rocks singing songs luring sailors to their doom? Do you know the difference between a mermaid and a siren? Well, if you are really interested in the subject read this post of mine from almost ten years ago that explains it, and ties in Esther (you know from the Bible), and loops around Starbucks as well. 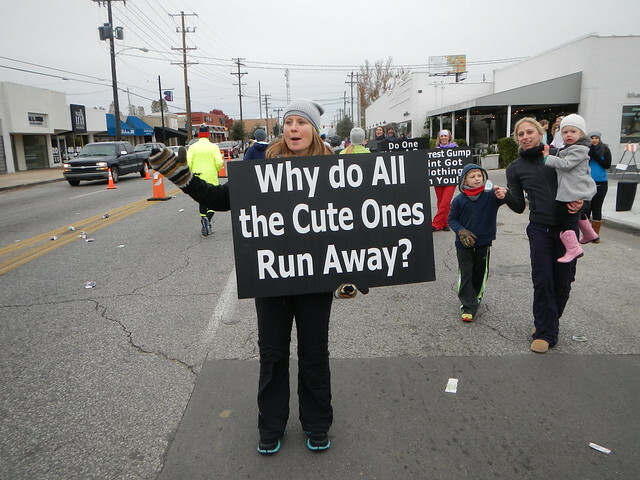 I love this sign also. I remember when I had hair. Yep, I like this one as well. 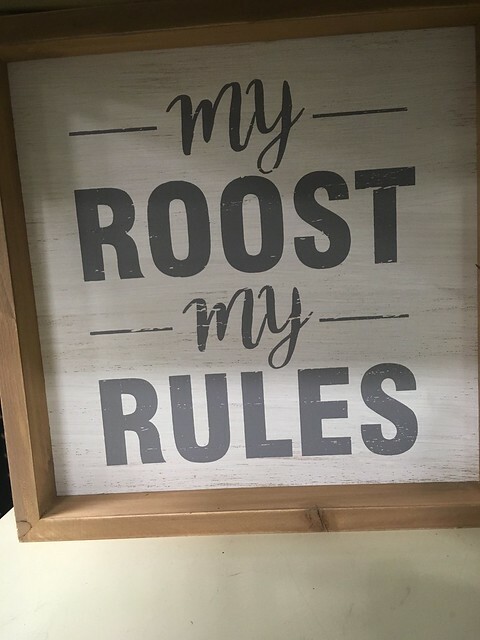 Or rather, “Her Roost, Her Rules!” Doubt me? 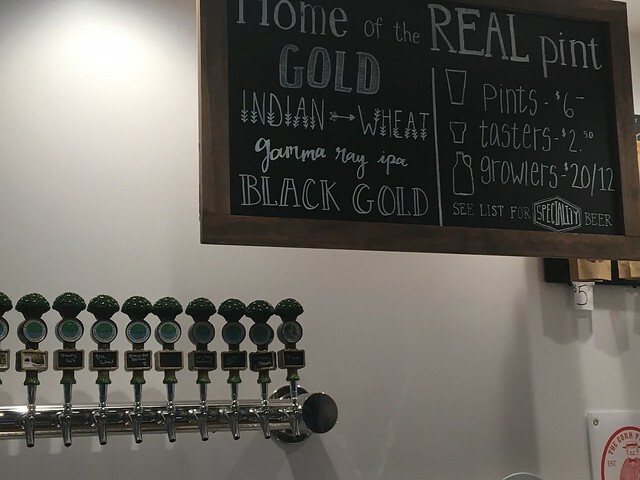 Here is another sign, at a local brewery. After years of being a beer desert, Oklahoma is coming into the 20th century with more modernized liquor laws. Next step is the 21st century. Here is a whole bunch of signs. I am a “Sign Abatement Volunteer” with the City of Tulsa. 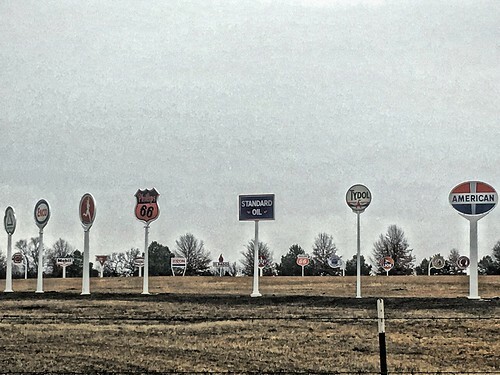 Me and about 61 other folks have been trained on what signs are legal, which or not, and the value of using good judgement, discretion, and restraint despite what the law says. 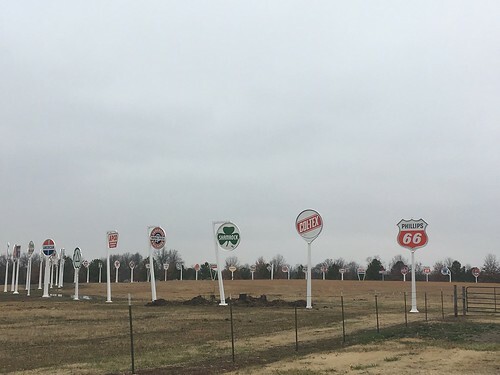 So I have been gathering up signs all over south Tulsa. 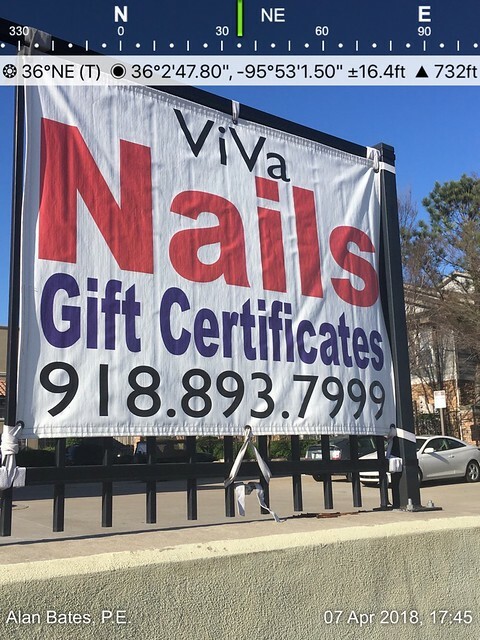 They are mainly for sketchy crap businesses that don’t have a physical address. So, I am doing by bit for cleaning up the city. So far I have found around 70 or so. I guess I could start a referral business for the likes of Heavenly Hands Magic Massages, Loans for Businesses, Instant Weight Loss, and guys that will buy any house. How about you? 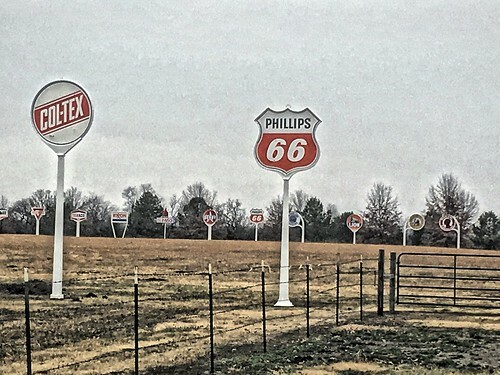 Have you found any good signs lately? 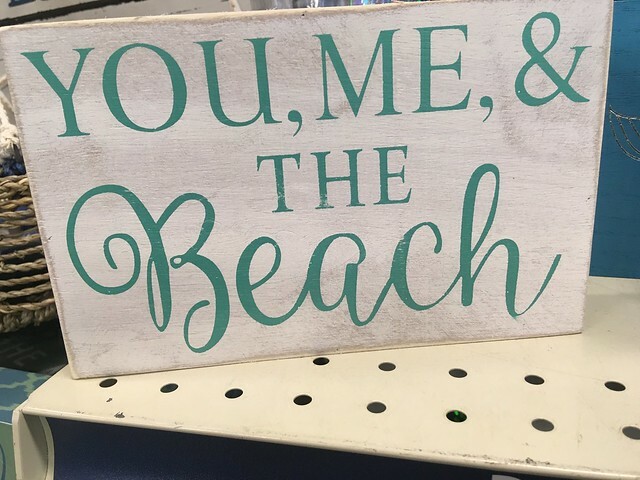 This entry was posted in Signs and tagged Beaches, Signs on May 14, 2018 by Alan Bates. 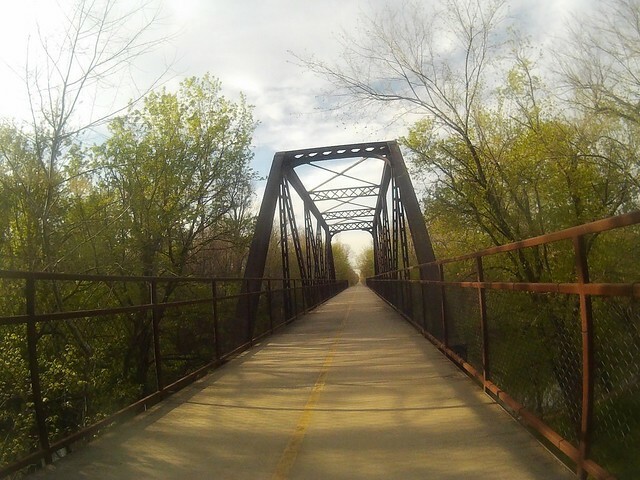 Last week I took my bicycle up north of Tulsa to the “Osage Prairie Trail” a rails to trail project that starts in north Tulsa and goes to Skiatook, way out in the country. I started in Sperry and went about five miles north to Sperry. 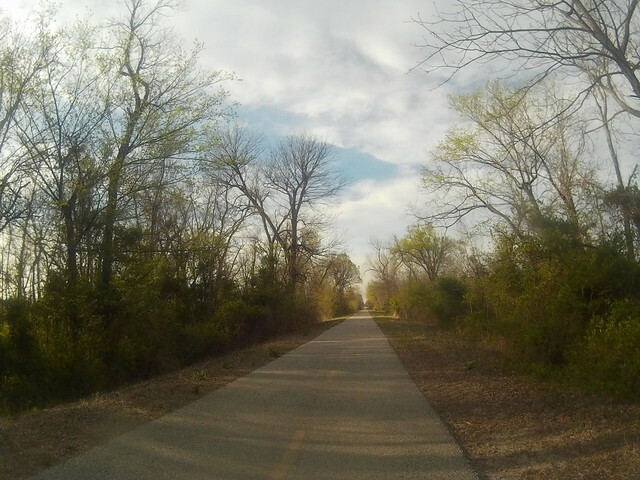 The trail is deluxe, asphalt paved and well maintained. 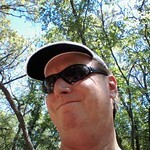 I got some geocaching in on the way. How do you like my stylish outfit? I found that garish yellow top at Walmart for about seven bucks. Don’t feel bad if you don’t like it cuz I like it just great! Along with my mismatched socks. Where’s the law that says your socks have to match? 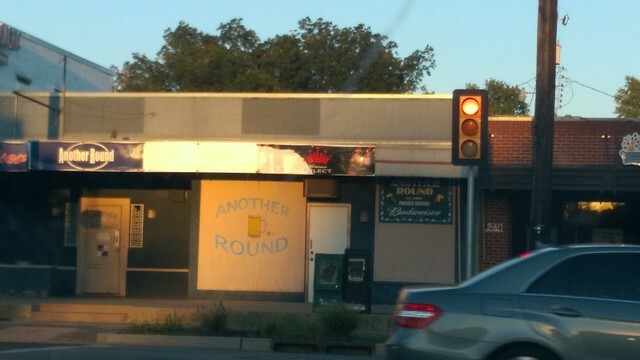 There isn’t one, I already checked! I love this bridge across Bird Creek. 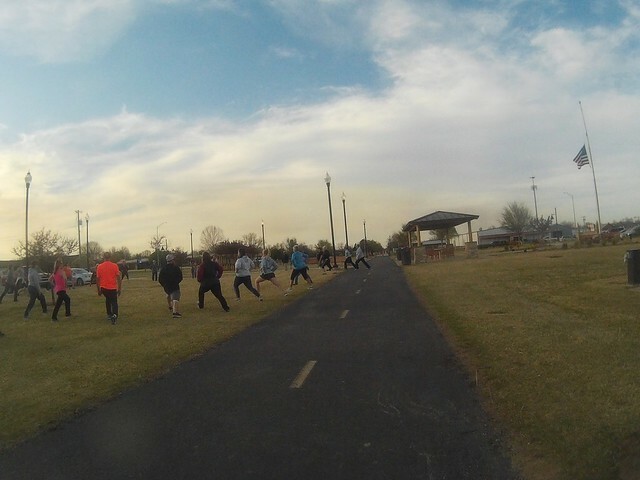 I got to Skiatook and everybody in town was taking an exercise class. I felt like jumping in myself but they were just finishing up. I love community stuff like that. Except community sounds like communism. We don’t like communism here in Oklahoma, so I am glad I didn’t join this communistic exercise program. People need to be in there own homes watching Fox News and checking you know who’s twitter feed. Not out in the sun getting skin cancer and getting to know your possibly leftist, immigrant, non gun owning neighbors. 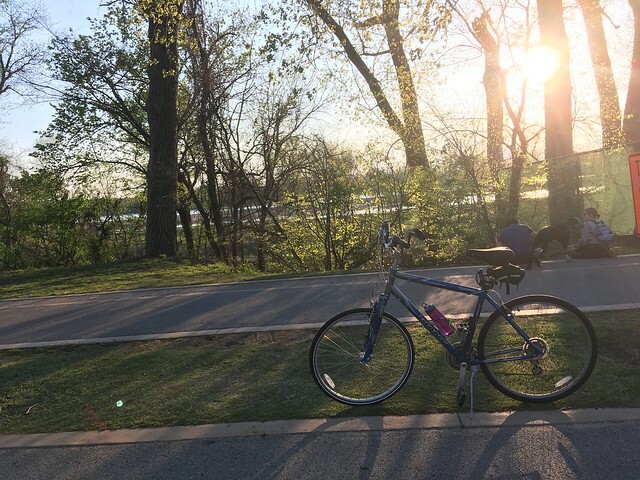 I went riding along the Arkansas River after work earlier this week during a pretty day. I am loving riding my bike this Spring!! 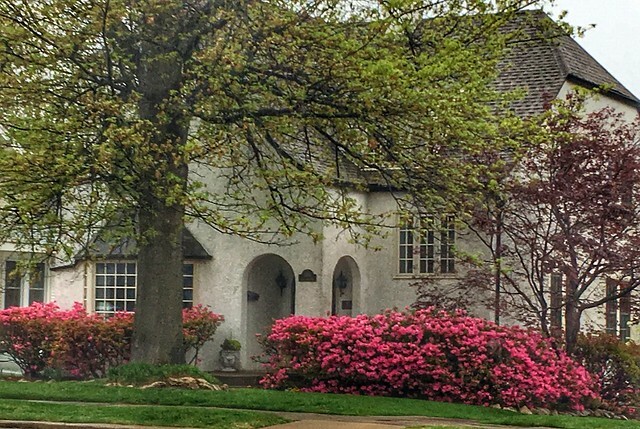 And it is Azalea season here in Tulsa. Here is a house in midtown that I just love. Look at the blooms, and the windows. And I have a volunteer gig with the city of Tulsa picking up “litter on a stick” signs. I’ve picked up 17 so far. Within days of getting trained, me and my fellow 61 volunteers picked up over 500 trash signs off city rights of way. I’m all official now. I have a city ID Badge with my photo on it and some “cop gloves” to help protect from sabotaged signs. 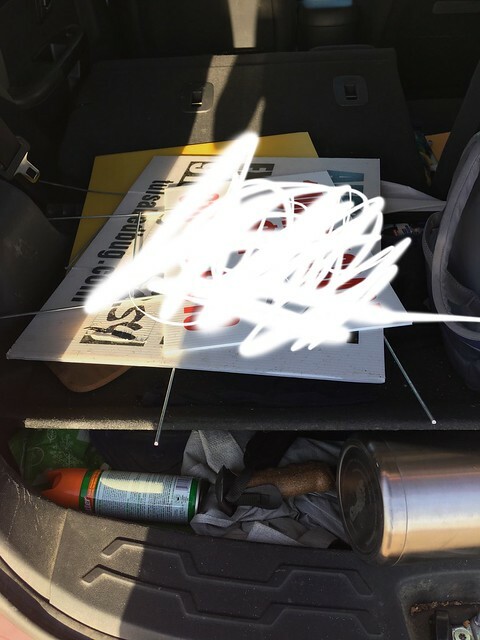 (Not yet in Tulsa but apparently in other cities the people who have put out litter on a stick signs have superglued razor blades to the wire frames.” The gloves will come in handy for geocaching also. On my bike ride on the Osage Prairie Trail I went looking for a cache called something like “In the hole” and I found the hole in the tree and as I went to inspect it, a snake slithered out! So as we say in the energy biz, I plugged and abandoned that cache, figuratively. I am just glad that I didn’t stick my hand in there, even though the slithery critter did not appear to be poisonous. I am linking with Skywatch Friday this week. 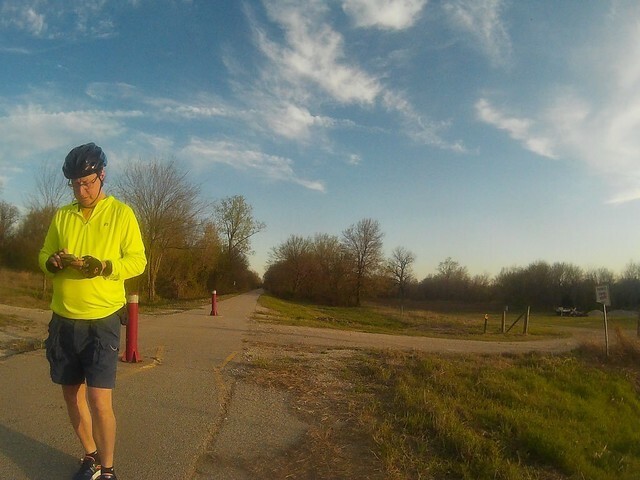 This entry was posted in Skywatch Friday and tagged Aza;eas, Bicycling, Bike riding, Donald Trump, Fox News Channel, Geocachiing, Oklahoma, Osage Prairie Trail, Sign Abatement, Signs, Skiatook, Skywatch Friday, Sperry, Tulsa on April 25, 2018 by Alan Bates. 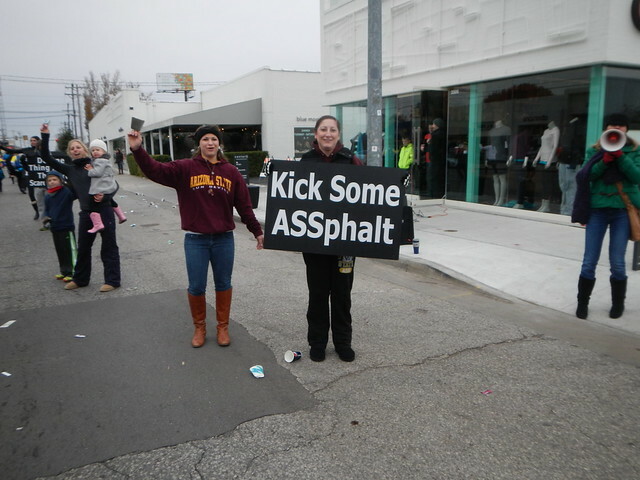 I got up early Saturday morning and attended volunteer training put on the by City of Tulsa for those citizens who want to help the city control temporary signs on city streets. 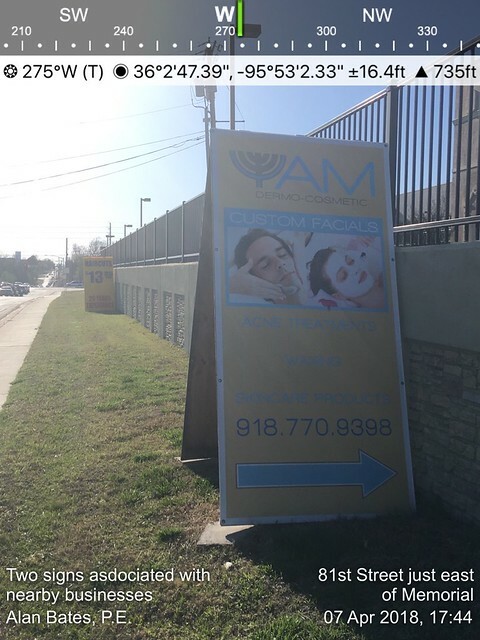 Tulsa has regulations for such signs and they are wanting help for the one city employee who does that. That guy was the one doing the training and he was very engaging during his two hour talk. 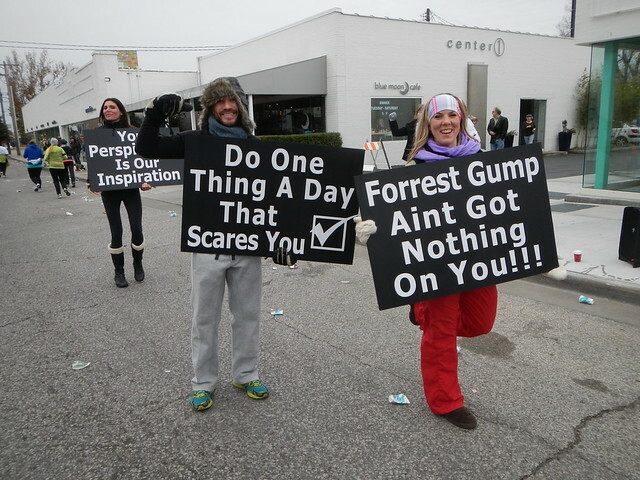 They don’t really want volunteers pulling signs such as these. They may or may not be legal as it is possible that they could have a permit plus there is a due process where business owners can appeal. They want us volunteers solving problems not creating them. 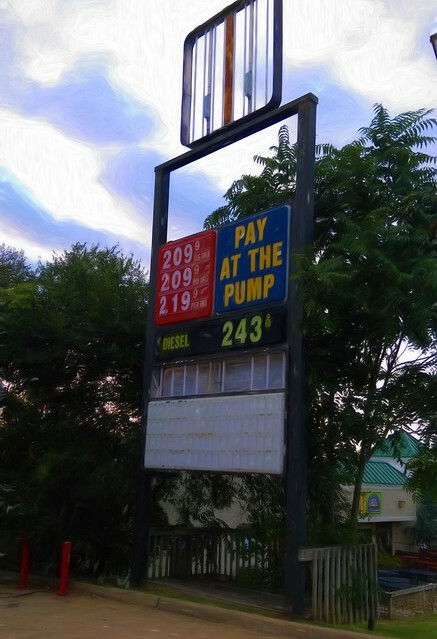 So if we have questions we are to take a photo of the sign and send it to the city employee and he will deal with it. We are not engage business owners or individuals, leave that up to city employees. They also do not want us messing with signs inside neighborhoods. The main emphasis is going to be the “litter on a stick” signs on main thoroughfares not associated with nearby businesses. You have seen those signs advertising lawn mowing, leaf raking, and such. He talked about signs posted near schools advertising “Now hiring students” with no business name or description just a phone number. He said sometimes those are entries into human trafficking for witless teenagers. He also emphasized discretion, so please don’t pull signs posted by people who have lost pets and other such things. “If in doubt, leave it out” is to be our motto. And he talked about political signs. Close to election time lots of candidates will be putting their little crap signs out on the rights of way and medians. 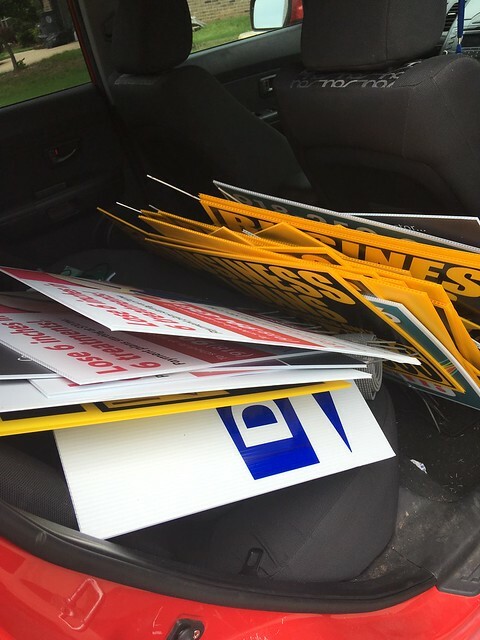 He said we can pull those but we can’t just pull them for candidates we don’t like, we have to pull everybody’s signs. 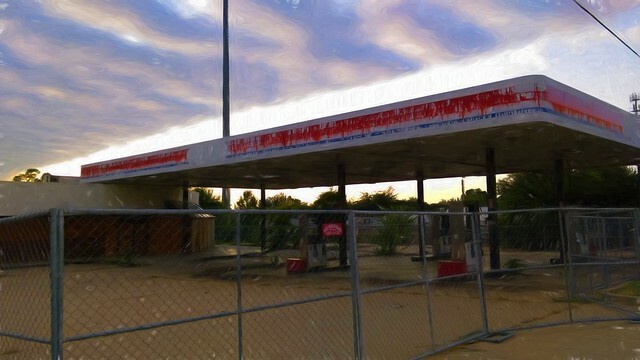 This entry was posted in Volunteering and tagged Oklahoma, Sign Abatement, Signs, Tulsa, Volunteering on April 11, 2018 by Alan Bates. I don’t know about you but the debate gave me a headache. The Dallas Cowboys won Sunday night though. I’m glad I didn’t join any of the drinking games associated with the debate. I feel that I wasted my time watching it. 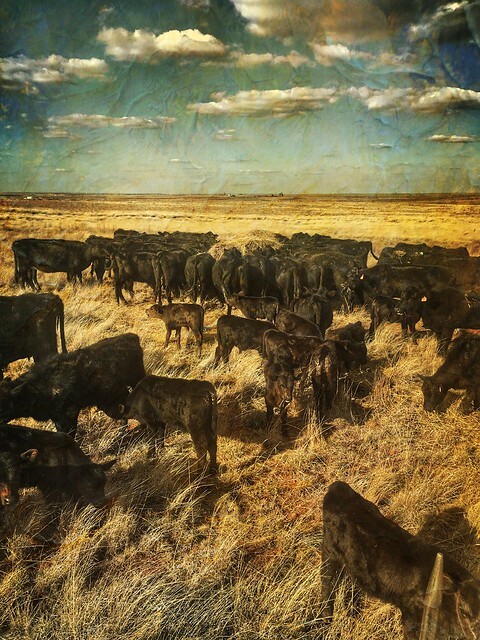 This entry was posted in Life and tagged Dallas Cowboys, Politics, Signs on September 28, 2016 by Alan Bates.